A motif is an obvious element of narrative that reoccurs. For example, an incident that happens over and over or a reference that gets made again and again. 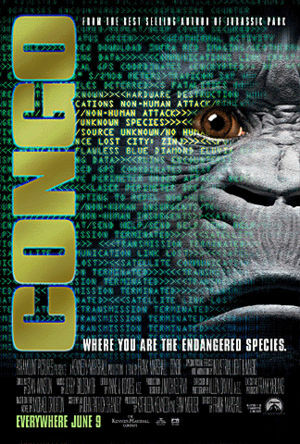 The film Congo makes good use of this narrative device. 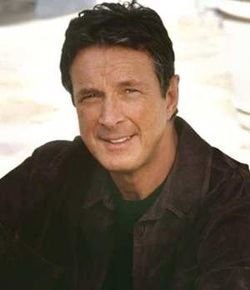 I have read many Michael Crichton novels, but I have not read Congo. I was pretty excited to see this for the first time because it had many elements that I liked independently: soundtrack by Jerry Goldsmith, screenplay by one of my favorite playwrights John Patrick Shanley, based on a Crichton novel. But somehow all that talent didn’t add up to enough of a thriller for me. The problem was, this seemed to be a film that couldn’t decide what it was, a thriller or comedy, a horror movie or an action flick. The acting was comic at times though I imagine that was unintended. Throughout the whole film we see a motif of man facing the dangers of nature. From the opening which set the tone for a thrilling creature feature to the ending where the remaining cast is literally chased out of a mine by an erupting volcano, hippos attacking rafts to a silverback gorilla charging while beating his chest, nature puts the players in peril almost every step of their way. It’s a nice touch to see that this motif is also reflected in the world of man. There’s peril as well once they enter the exotic world of Africa. The only problem for me was that this motif is used so often that it completely loses its effect, and it eventually becomes comical but no really that funny. By the end when the would-be killer apes are jumping into the lava flow (for God only knows what reason), I just wanted to throw my hands up. Used resourcefully, motif can and texture to a piece. The echoes of motif begin to pile up into cacophony if not deployed sparingly or with careful consideration and that’s exactly what happens here.